A stack of fluffy, golden pancakes is the perfect starting place for a standout brunch, delivering piping hot cakes with distinct sweet tang and an open, airy texture. Buttermilk was a must. 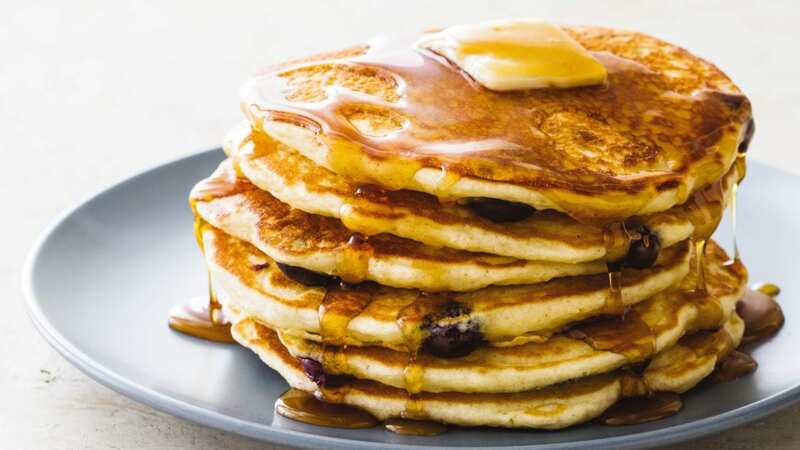 It contributed to the pancakes’ flavor and, with some leavening help from small amounts of baking powder and baking soda, it also created pancakes with better texture. But we craved even more tang, so we whisked in some sour cream for a concentrated boost. Love to cook at home? Want to learn some new skills in the kitchen? 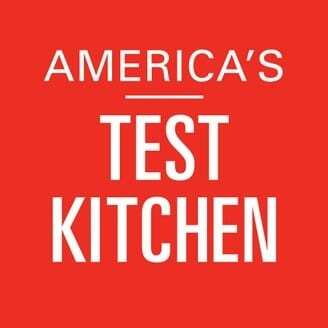 Find “America’s Test Kitchen” on Kansas City PBS in our schedule and watch at 11 a.m. on Saturdays. To keep our pancakes as light and fluffy as possible, we avoided overmixing the batter, which would overdevelop the gluten and make the pancakes tough. After a brief rest to relax the gluten, we portioned the batter into a hot, lightly oiled skillet. From there, our cakes needed just a few minutes per side to turn beautifully golden brown. To ensure all our guests would enjoy fresh, hot pancakes, we kept the cakes warm while we finished the remaining batches by transferring the finished pancakes to a warm oven until it was time to serve. Getting the skillet hot enough before making the pancakes is key. An electric griddle set to 350 F can also be used to cook the pancakes. Adjust oven rack to middle position and heat oven to 200 F. Set wire rack in rimmed baking sheet and place in oven. Whisk flour, sugar, baking powder, baking soda, and salt together in large bowl. In separate bowl, whisk buttermilk, sour cream, eggs, and melted butter together. Make well in center of dry ingredients and pour in wet ingredients; gently stir until just combined (batter should be lumpy with few streaks of flour). Do not overmix. Let batter sit 10 minutes before cooking. Heat 1 teaspoon oil in 12 inch nonstick skillet over medium heat until shimmering. Using paper towels, carefully wipe out oil, leaving thin film on bottom and sides of pan. Using 1/4 cup measure, portion batter into pan in 4 places. Cook until edges are set, first side is golden brown, and bubbles on surface are just beginning to break, 2 to 3 minutes. Using thin, wide spatula, flip pancakes and continue to cook until second side is golden brown, 1 to 2 minutes. Transfer to wire rack in oven and repeat with remaining batter, using remaining oil as necessary. Serve. Graham Buttermilk Pancakes: Substitute 1 cup graham cracker crumbs plus 2 tablespoons cornmeal for 1 cup flour. Nutrition information per serving: 117 calories; 41 calories from fat; 5 g fat (2 g saturated; 0 g trans fats); 37 mg cholesterol; 185 mg sodium; 15 g carbohydrate; 0 g fiber; 3 g sugar; 3 g protein. Follow @FlatlandKC on Twitter and Facebook for all your food news. This Holiday Season, Why Not Make a Pumpkin Jelly Roll Cake? Jason Kander, President Trump, Patrick Mahomes and … George Smith?